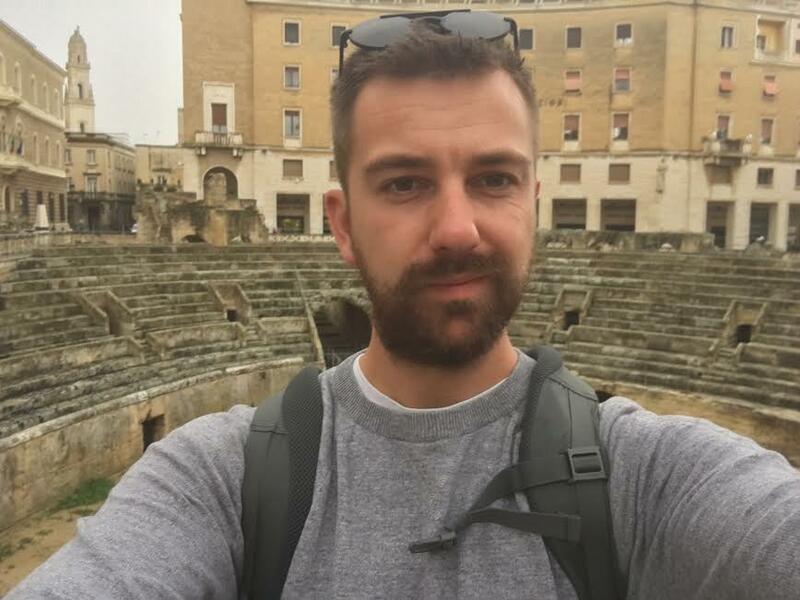 I’ve been in Bari, located in the South of Italy for over a week now and I’ve started working at a private language school teaching English in the city. The first day of teaching began at 17:30 and consisted of evening classes with children, teenagers and adults, finishing at 21:30. I got positive feedback from the students and the children seemed to enjoy themselves, giving them an English game to play in the last 10 minutes may have helped with the smiles they had when leaving my class (nice little trick). The children’s class level is Cambridge English Starters so I will be planning lessons with the following materials – Grammar Time 2 Pearson, Kid’s Box 2 Cambridge English: Starters and Cambridge English Fun for Flyers, including using online material such as the British Council Learn English Kids which is a great source for worksheets, flashcards, interactive games and songs. For my first lesson with the advanced teenagers, I decided to bring a UK newspaper to my class and ask students to work in pairs analysing and reporting back on chosen stories – grammar point reported speech. One example taken from the Liverpool Echo 28/09/18 was a story with the headline ‘Alright Queen’ which was about a historical TV drama being filmed in Liverpool. I was able to teach the students new vocabulary and discuss different types of slang that exist in Britain and how the English language is evolving which sparked into quite an interesting debate between the students. Following this, the students focused on other headlines, new vocabulary, the stories and whether they were interesting or not. Overall, it lasted 45 minutes and was a successful exercise. I also used Cambridge English Objective Advanced students book since this class will be prepared for the Cambridge exam. The last class of the day was Pre-Intermediate adults, for this I planned an introductory lesson where the students were able to get to know each other – grammar point past tenses. In other news, over the weekend I took a train to Lecce located at the heels boot of Italy. The train journey was great as it goes along the coastal route taking in all of the little picturesque Italian towns and cities such as Monopoli, Ostuni and Brindisi which I will write about and explore in my next ESL blog. Lecce itself was really beautiful, I only visited it for the day, but, I explored the historical city on foot in the rain and I came across the Anfiteatro Romano (Roman Amphitheatre of Lecce) and its baroque architecture which I was able to draw in my sketchbook. Due to the bad weather and since the summer touristic season has ended it was actually quite a unique experience to derive through the empty city and since it only takes two hours to get from Bari to Lecce at ten euro a ticket I’m sure I’ll be returning in no time. Ironically, I saw an advertisement for a TEFL vacancy with a private language school based in the city. Time to get back to Bari.